governing access to firearms and ammunition. The law also imposes a new reporting requirement on mental health professionals, including physicians, psychologists, registered nurses and licensed clinical social workers. 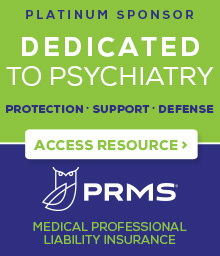 The SAFE Act amends the Mental Hygiene Law (MHL) by adding a new §9.46, which requires that mental health professionals who are currently providing treatment services to an individual make a report, if they conclude, using reasonable professional judgment, that the individual is likely to engage in conduct that would result in serious harm to self or others. The new reporting requirement went into effect on March 16, 2013 and applies to all conduct that would result in serious harm to self or others, regardless of whether a legal firearm is implicated. Once the report is made, a determination will be made if the subject of the report (i.e., the patient) has a legal gun, has applied for a gun permit or is prohibited from owning a gun under applicable state or federal law. However, the SAFE Act reporting requirement is intended to address only legal gun ownership and does NOT address notification to law enforcement or to a potential victim to warn of a risk of injury to the patient or others. Following enactment of the SAFE Act, NYSPA has expressed objections to the language of the reporting requirement for two reasons. First, we are concerned that the breach of confidentiality required in connection with a report would not be warranted because the statute fails to require the presence of imminence in addition to the threat of serious harm. State and federal law as well as generally accepted psychiatric practice recognizes that a breach of patient confidentiality may be necessary to prevent harm to self or others, but only when the risk posed is both serious and imminent. Second, NYSPA is concerned that the reporting requirement conflicts with HIPAA. Under HIPAA, a disclosure to mitigate a threat to health or safety may be made without patient authorization only if the threat is both serious and imminent and is made to law enforcement or to a potential target, elements that are missing from the SAFE Act. The SAFE Act reporting requirement also fails to meet the HIPAA "required by law" exception, because it is not a truly compulsory mandate. To express its concerns, NYSPA filed a complaint with the Office for Civil Rights (OCR), a division of the U.S. Department of Health and Human Services that is charged with investigating possible HIPAA violations. As NYSPA pointed out in its complaint, permitting MHL §9.46 to stand as written would place New York providers in a situation where compliance with the state statute might constitute a violation of the federal statute. In the past, if a psychiatrist knew that a patient was about to be involuntarily hospitalized, the psychiatrist may have determined that there was no immediate duty to warn because the patient would be maintained in a secure environment. However, that reasoning does not necessarily apply with respect to the SAFE Act and a report may be required even in connection with patients about to be admitted to an inpatient facility. As emphasized by OMH, involuntary hospitalization does not vitiate the need to submit a SAFE Act report because the true aim of the statute is not to protect the public from imminent harm but to reduce access to legal firearms. The greatest impact of the reporting requirement may prove to be in the inpatient treatment setting. In this case, the standard for involuntary hospitalization under MHL §9.39 and MHL §9.45 are substantially similar to the "likely to result in serious harm" standard used in the SAFE Act. As a result, if a patient meets the standard for involuntary hospitalization under MHL §9.39 or MHL §9.45, the patient would meet the standard for an MHL §9.46 report. Although there is a discernible distinction between the OMH involuntary hospitalization standard and the generally accepted standard for making a warning in the event of "serious and imminent danger" (see MHL §33.13(c)(6)), it is reasonable to conclude that anyone involuntarily hospitalized under MHL §9.45 or MHL §9.39 also meets the standard for reporting under the SAFE Act. In addition, a person who is admitted on a voluntary basis may nevertheless meet the MHL §9.46 standard and a SAFE Act report would be required. On the other hand, the fact that a patient has been hospitalized (whether voluntary, involuntary or informal) does not itself trigger an obligation to contact law enforcement or an endangered individual. Finally, no SAFE Act reporting would necessarily be required where a patient was involuntarily hospitalized based upon the MHL §9.27 standard of "in need of involuntary care and treatment," i.e., a patient "whose judgment is so impaired that he is unable to understand the need for such care and treatment." Regarding discharge, we conclude that there is no need to file a SAFE Act report upon discharge because an individual should not, at discharge, present a risk of harm to self or others. 1. Although OMH has indicated that no report would be necessary in connection with an otherwise reportable danger when such danger is the result of alcoholism, substance abuse or pure criminal behavior, substance-induced mental conditions, such as psychosis or delirium, may indeed be reportable. Also, please be aware that these types of situations present fine distinctions and determining the precise source of the dangerousness may be difficult under the circumstances. 2. The decision to report or not to report, when made reasonably and in good faith, will not subject the mental health professional to any civil or criminal liability. 3. Reporting is not required if the mental health professional believes, in the exercise of reasonable professional judgment, that doing so would endanger the mental health professional or increase the danger to a potential victim or victims. 4. Individuals who are the subject of a report will not have access to the report or to the reporter's name or contact information, including through FOIL requests. However, patients may learn that a report was made if they request a copy of their medical record. Mental health professionals may, but are not required to, inform the patient of their decision to file a SAFE Act report. 5. Once a report is made, the ISARS system will generate a unique Confirmation Number. Once you log off the system, this Confirmation Number will no longer be available, so it is important to make a note of the Confirmation Number in the patient's chart or print a screen shot to add to the file. 6. In the event a report is required, psychiatrists are advised to file a complete report and provide all information requested. 7. Psychiatrists are advised to consult with legal counsel in the event a reporting situation arises and further guidance is required.